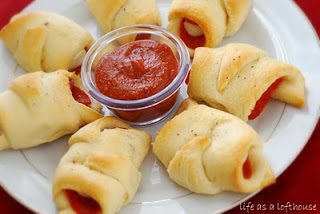 This recipe makes 8 roll-ups, so I’ll double or triple the recipe for this tailgate. Preheat oven to 375 degrees. 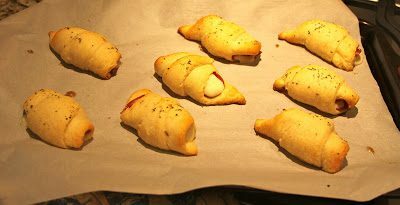 Unroll crescent dough, and seperate into 8 triangles. 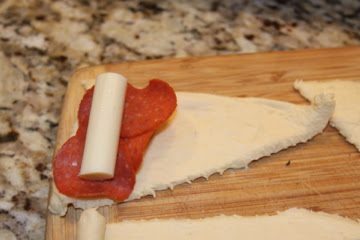 Place 4 pepperoni slices on the large end of each triangle. 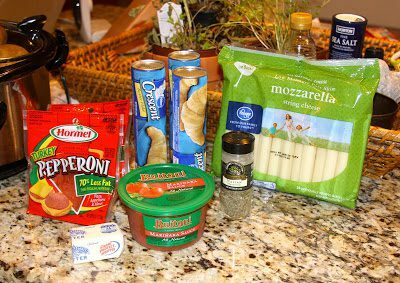 Place one half string cheese on the top of the pepperonis. Roll up towards point. 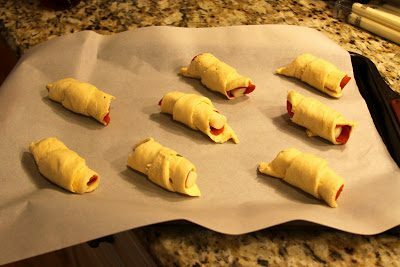 Place roll ups at least 2 inches apart on a lightly greased or parchment paper covered cookie sheet. 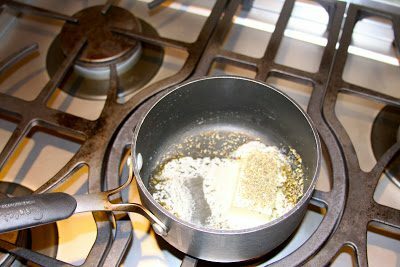 Mix together Italian seasoning and melted butter. 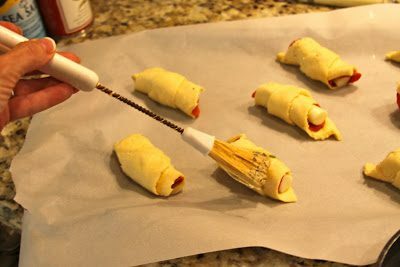 Brush over the tops of the roll ups. Wrap in foil and take to your tailgate!